The exterior of Willoughby's is sleek and modern, with big glass windows and a concrete-and-marble structure. The Choupette Creperie owner meets customers with a smile, cultivating a welcoming environment. 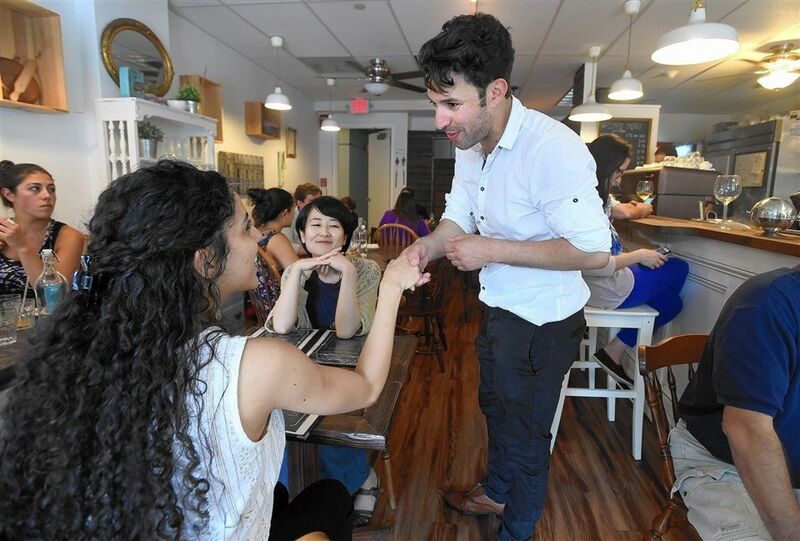 Some people may consider New Haven’s claim to fame to be only its status as the pizza capital of the area, but scattered around the city is also a wide variety of coffee shops to satisfy every person’s craving for caffeine. Each has a unique design and flavor: whether it’s a classic French cafe, an old-timey New Haven shop, or an international coffee supplier New Haven’s got them all. This is your guide to New Haven coffee beyond our own little cafe in Upper Heath. A confusing name but a delicious choice, Koffee? represents an older New Haven. Located at 104 Audubon Street, even the air you breathe within Koffee? provides the welcoming feeling of the shop. After getting milk and sugar, soft couches await as well as a multitude of board games. Although casual in concept, the red brick columns, rugs, and curtains give the place an elegant feel. Moving farther into the coffee shop, the back opens up into a small, grass courtyard, which adds to the cosy atmosphere of the restaurant. According to employees, its best drink, as well as the most popular, is its cappuccino. Its most decadent and expensive drink is the Irish Cream. Koffee? is perfect for a cheap cup while feeling like you have the comforts of home. If you’re looking for somewhere more posh, Choupette Creperie is a successful French crepe shop. Its coffee is imported and Choupette is known for its French Roast. The coffee is not the only appealing feature about this quaint Creperie. As you walk into Choupette, you are immediately transported into another world. Its decor is rustic and very French, with big wooden shutters on the glass front window and hand-woven wooden crates on the wall. French music plays in the background over the bustle of customers and walls are lined with pictures of France. Choupette is the coffee shop for you if you’re looking for some French culture and a high-quality cup. Another must-try if you want some coffee in New Haven is Willoughby’s. Walking up the stairs to the shop at 194 York Street, you realize its small size and perfect simplicity. An island in the middle holds the milk and sugar; to the right, there are a few small tables next to the big front window, showing the street beyond. To the left are 30+ canisters of different international coffee beans. You may also order just a pound of beans from the counter; more expensive beans cost around twenty-five dollars, while cheaper blends sell for about eight dollars. According to the baristas, the Ethiopian blend is the shop’s most popular coffee both for raw purchase and when it is featured on the menu. Their most expensive coffee will cap off around seven dollars if it is made into a cappuccino. Near the heart of New Haven is the popular Yale coffee shop, Blue State Coffee. Besides making amazing coffee, Blue State is unique because of its multitude of local products from around Connecticut that are used in their drinks. Blue State also gives two percent of their profits to charities and organizations in New Haven, so far totaling 635,000 dollars. The coffee shop itself is busy but roomy, with long benches and tables for studying. It is not uncommon for the majority of the shop to be taken up by Yale undergraduates since it is located near many of their dorms. Employees and customers alike agree that the Iced Chai is Blue State’s best drink while their Chaider (Cider and iced chai) is their most decadent at six dollars for a large. Blue State is the place to go if you want to do some studying while drinking coffee made with natural ingredients. 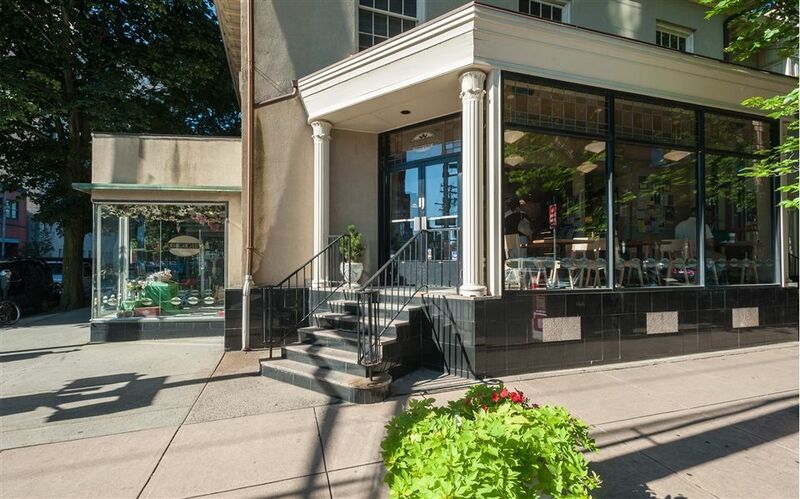 On Chapel Street, you will find the famous Atticus Cafe and Bookstore. The location is a mix between bookstore and restaurant, with no particular differentiation between the two. Although Atticus serves more than coffee, it belongs on this list because of its massive popularity. Walking in, you are met by a long counter where you are able to order your coffee as well as any other to-go sandwich or pastry. The kitchen is centered in the cafe, breaking down the boundaries between customer and employee. The bookstore fills up the walls next to the well-lit tables, making you really just want to settle down with a hot coffee and a book while the restaurant buzzes around you. Its most expensive coffee as well as its most popular is its large cappuccino at just under five dollars. Ultimately, New Haven has a rich and diverse culture, and this is expressed through its varied coffee shops. The best way to explore our unique city may very well be one cup at a time.